The Apache Workwear full grain brown nubuck safety hiker. Water resistant upper. Padded tongue and collar for added comfort. 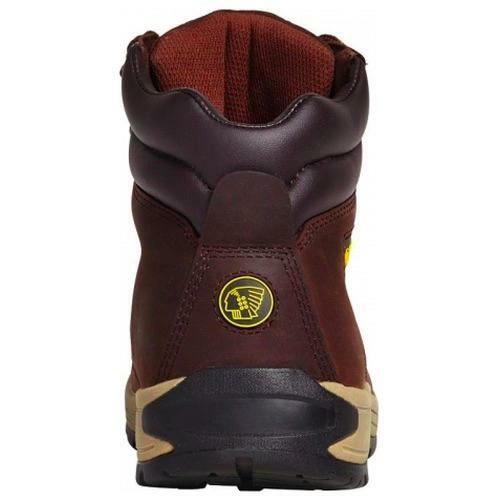 Steel toe cap protection and composite midsole protection. Lightweight phylon/rubber outsole. 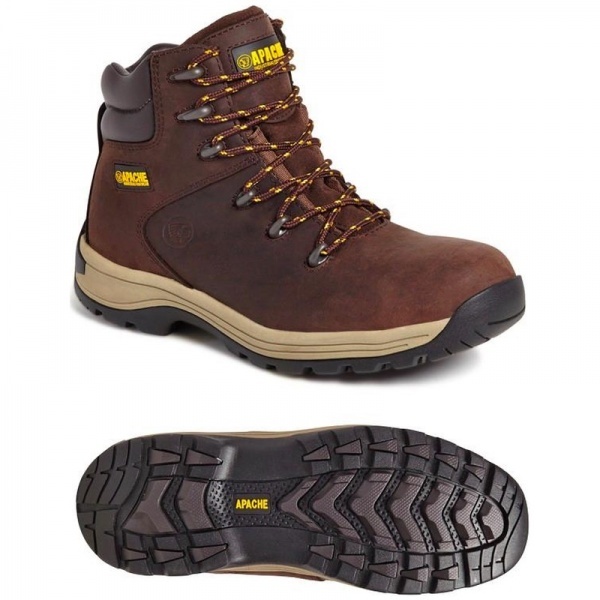 A popular modern styled boot for all trades.